On Saturday, February 18, the Sandwich Town Hall transformed back into its origins as an early 1900s film auditorium with a special screening of the silent classic film Nosferatu, complete with a live piano accompaniment. Continuing its celebration of the oldest running Town Hall in Massachusetts the volunteer group Friends of Sandwich Town Hall (the recent winners of the 2011 Massachusetts Historical Commission Award) presented the film, accompanied by John Read on the piano. Dressed in traditional flapper garb, silent film enthusiast Liisa Niemi gave a brief introduction on the history of the genre and the story and themes of Nosferatu. Nosferatu dates back to 1920s Germany when director F. M. Murnau adapted, without authorization, Bram Stroker’s Dracula, portraying the haunting story of a young Mr. Hutter and his stay at the vampire Nosferatu’s eerie mansion in Transylvania. Although this first-ever vampire movie may feel slow compared to those made later in the century, Nosferatu is rife with historical significance. Around the same time that Nosferatu was released, Sandwich Town Hall was a hot bed for silent films. “This is our way of bringing back the spirit of community to the Town Hall,” said Friends of Sandwich Town Hall member Bill Daley. 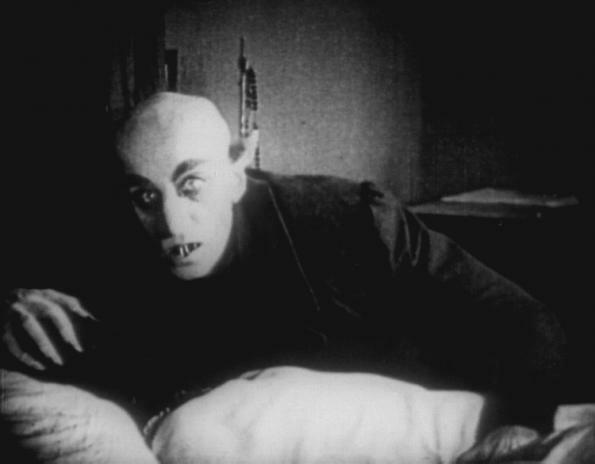 Whether or not Nosferatu originally played in the Hall, Daly is not sure, but he is pleased with the selection of a film regarded as one of the best in the silent genre. Pianist John Read, a Yarmouth Port local, has over 30 years experience entertaining as a musician. He attributes his success as a silent film accompanist to his passionate knowledge of 30s and 40s pop songs and the live organ music from early soap operas. Read and Niemi have hosted silent movie events for the past few years around the state. In addition to her introduction, Niemi will share her collection of antiques and vintage clothing at the event, a passion that she gained from her grandmother, an original flapper girl and antique collector. The Friends of Sandwich Town Hall is a group created to maximize the potential of community building within the Hall. After a recent restoration project to the building, the group aims to host regular events similar to the viewing of Nosferatu.